This is one of those reviews where I really don’t know what to say. 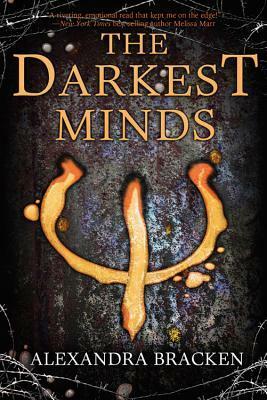 Darkest Minds is a book I had my eye on since it published in 2012, I always meant to read it but never made the time. Fast forward to 6 years later and the movie is coming out so I finally made the time and…… meh. Starting this book my rating was at a 4 stars, then midway in it was more a 3.5. Then by the end I was so disenchanted. I’m still wavering on my rating, it’s between a 2 and a 3 because I enjoyed parts of the book but not others. I would relate this book to a teen X-men story, but that feels like an insult to the X-men universe. This is about a bunch of teens who suddenly develop powers during puberty and the world goes crazy and locks them up and murders some of them. Ruby has been in the equivalent of a work camp for 6 years before she gets the opportunity to break out and ends up with a group of teens with other abilities looking for a safe place. My biggest issue with this book is it’s structured really poorly. The plot is all over the place and both romantic storylines felt so completely forced to me. This book has the potential to be a 5 star read, but it was about 200 pages too long in my opinion. For the most part I enjoyed it, so if you are interested I say go ahead and read it. I’m just a lot picker than other people.